Effects of Digitalized and Flexible Workplaces on Parenthood: New Concepts in Gender Relations or a Return to Traditional Gender Roles? Digitalization is classified as one of the main developments in the professional world as we know it, bringing about far-reaching changes within the work processes and working conditions. 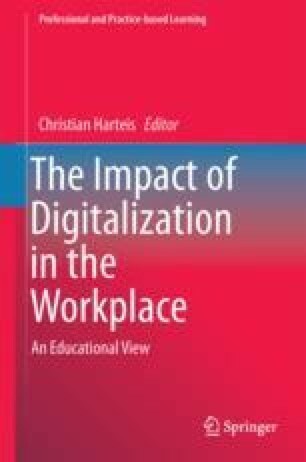 This article looks at the phenomenon of the dissolution of boundaries between professional and private spheres of life in connection with digitalization and discusses the consequences of this development with a particular focus on gender relations and the family unit. Flexibility in terms of both time and location has the potential to facilitate a more successful reconciliation of professional and private areas of life, offering new opportunities with regard to shaping family work and ideas of parenting. However, the increasing dissolution of boundaries between these areas of life also bears risks, not only in straining and overburdening individuals but also in counteracting hopes of modernizing gender relations. The digitalization process in the professional field would therefore neither be considered a useful tool for the adjustment of the gender bias regarding the overall social division of tasks nor for the conceptualizing of parenthood, but rather as part of the trend to re-traditionalize gender roles within the family unit. BIBB. (2016). Digitalisierung der Arbeitswelt – Berufsbildung 4.0. Retrieved October 5, 2016, fromwww.bibb.de/de/26729.php. Bultemeier, A., & Marrs, K. (2016). Frauen in der digitalen Arbeitswelt von morgen. München. Retrieved 10 Oct 2016 fromhttp://www.frauen-in-karriere.de/wp-content/uploads/2016/09/Handlungsbrosch%C3%BCre_Frauen-in-der-digitalen-Arbeitswelt-von-morgen.pdf. DIW Berlin (2016). Arbeit 4.0 – blind spot gender. Retrieved September 6, 2016, from http://www.diw.de/de/diw_01.c.535004.de/ueber_uns/vorstandsbereich/gender_studies/gender_studies_tagung_2016.html. Statistisches Bundesamt. (2014). Erwerbstätigkeit von Frauen in Deutschland deutlich über EU-Durchschnitt. Pressemitteilung Nr. 082 vom 07.03.2014. Retrieved 6 Sept 2016. from https://www.destatis.de/DE/PresseService/Presse/Pressemitteilungen/2014/03/PD14_082_132.html. Statistisches Bundesamt. (2016). Verdienstunterschied zwischen Frauen und Männern in Deutschland bei 21%. Auswirkung des Mindestlohns vor allem im Osten spürbar. Pressemitteilung Nr. 097 vom 16.03.2016. Retrieved September 6, 2016. from https://www.destatis.de/DE/PresseService/Presse/Pressemitteilungen/2016/03/PD16_097_621.html.